With Alwyn Crawshaw's practical demonstrations put into practice in real time. Shot entirely on location in Devon and Cornwall. The techniques have been divided onto 3 DVDS with easy access directly to the lesson of your choice. Alwyn's style is inspirational and thorough, and his enthusiasm infectious. 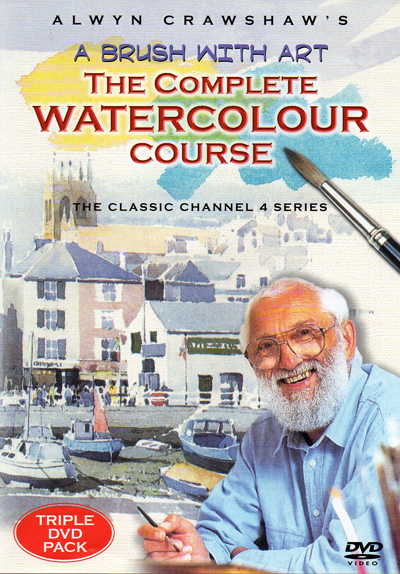 "A BRUSH WITH ART DVD SET" is the way to learn to paint. but not with some older United States Televisions, they must accept PAL format.